Radiology on Kiawah Island 2019 is organized by Duke Radiology and will be held from Jun 09 - 12, 2019 at Kiawah Island Golf Resort, Kiawah Island, South Carolina, United States of America. This CME Conference has been approved for a maximum of 20.00 AMA PRA Category 1 Credits. Course Description: This course has been designed for the radiologist interested in gaining a greater knowledge and understanding of advances in diagnostic imaging, specifically implementing a multidisciplinary approach to education via a combination of experts from Duke’s Divisions of Abdominal Imaging, Breast Imaging, Musculoskeletal Imaging, Neuroradiology and Vascular/Interventional Radiology. Learning Objectives: At the conclusion of this activity, participants should be able to: • Discuss the newest imaging techniques and modalities being used to diagnose various abnormalities • Describe techniques and procedures currently being used in Neuroradiology and Vascular Interventional Radiology • Analyze new techniques and procedures in abdominal, neuro, breast, musculoskeletal, and vascular/interventional. 2019 Family Medicine Update Conference is organized by Medical University of South Carolina (MUSC) Office of Continuing Medical Education and will be held from Jun 10 - 14, 2019 at Kiawah Island - Turtle Point Golf Course, Kiawah Island, South Carolina, United States of America. Target Audience & Scope of Practice : The conference is designed for family medicine, internal medicine, and other primary care providers, residents, physician assistants, nurse practitioners and pharmacists. Accreditation : The Medical University of South Carolina designates this live activity for a maximum of 22.5 AMA PRA Category 1 Credit(s)™. Physicians should claimonly the credit commensurate with the extent of their participation in the activity. Nursing Credit: Most states accept CMEs that apply to a specific nursingspecialty as nursing continuing education. Please check with your respective State Board of Nursing to ascertain the equivalent number of contact hours offered for 22.5 AMA PRA Category 1 Credit(s)™. Course Description : The purpose of this conference is to review common problems and chronic conditions in family medicine and provide practical approaches to their prevention, evaluation and treatment Course Objectives : At the conclusion of this conference, the participant should be able to: • Describe current diagnosis and therapy for conditions seen in primary care • Discuss controversial and emerging issues in primary care • Explain new trends in the diagnosis and management of typical presentations to primary care. Additional details will be posted as soon as they are available. 27th Annual Primary Care Summer Conference Session I is organized by Continuing Education Company, Inc. (CEC) and will be held from Jun 24 - 28, 2019 at Kiawah Island Golf Resort, Kiawah Island, South Carolina, United States of America. The target audience for this medical event is family medicine physicians, internal medicine physicians, physician assistants, and nurse practitioners from all over the nation. Accreditation: Earn a total of 35 credits with our Special CME Offer! Attend the 27th Annual Primary Care Summer Conference (20 CME Credits) and you will receive a FREE online 15 credit CME course from CME365. Physicians: AAFP: This live activity, 27th Annual Primary Care Summer Conference, with beginning dates of June 24, 2019 or July 1, 2019, has been reviewed and is acceptable for up to 20.00 Prescribed credit(s) by the American Academy of Family Physicians. Physicians should claim only the credit commensurate with the extent of their participation in the activity. Continuing Education Company designates this live activity for a maximum of 20 AMA PRA Category 1 Credits™. Physicians should claim only the credit commensurate with the extent of their participation in the activity. ABIM MOC: Successful completion of this CME activity, which includes participation in the evaluation component, enables the participant to earn up to 20 Medical Knowledge MOC points in the American Board of Internal Medicine's (ABIM) Maintenance of Certification (MOC) program. Participants will earn MOC points equivalent to the amount of CME credits claimed for the activity. It is the CME activity provider's responsibility to submit participant completion information to ACCME for the purpose of granting ABIM MOC credit. CFPC: Members of the College of Family Physicians of Canada are eligible to receive 20 MAINPRO-M1 credits for participation in this activity due to reciprocal agreement with the American Academy of Family Physicians. The Primary Care Summer Conference Series offers physicians two date options: June 24-28, 2019: Session I - Kiawah Island Golf Resort, Kiawah Island, SC, USA. July 1-5, 2019: Session II - Kiawah Island Golf Resort, Kiawah Island, SC, USA. Program Objectives: As a result of this conference, participants will be able to: • Assess and provide patients with an accurate diagnosis and optimal care for a broad range of disorders seen in primary care. • Utilize current guidelines in the diagnosis and management of commonly encountered therapeutic issues. • Formulate comprehensive evidence-based interventions and treatment strategies that will lead to the reduction of modifiable risk factors and improved long term outcomes. Additional details will be posted as soon as they are available. 27th Annual Primary Care Summer Conference Session II is organized by Continuing Education Company, Inc. (CEC) and will be held from Jul 01 - 05, 2019 at Kiawah Island Golf Resort, Kiawah Island, South Carolina, United States of America. 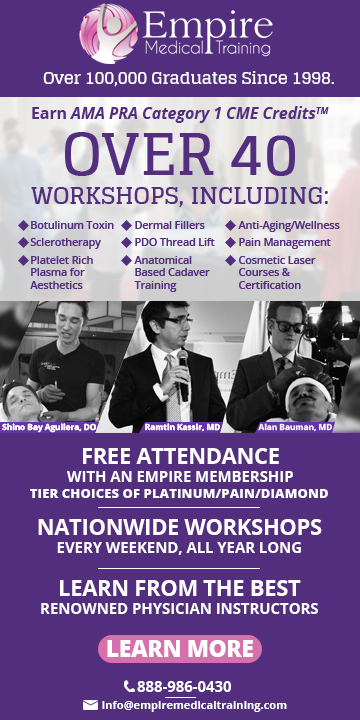 The target audience for this medical event is family medicine physicians, internal medicine physicians, physician assistants, and nurse practitioners from all over the nation. Credits: Earn a total of 35 credits with our Special CME Offer! Attend the 27th Annual Primary Care Summer Conference (20 CME Credits) and you will receive a FREE online 15 credit CME course from CME365. The Primary Care Summer Conference Series offers physicians two date options: June 24-28, 2019: Session I - Kiawah Island Golf Resort, Kiawah Island, SC, USA. July 1-5, 2019: Session II - Kiawah Island Golf Resort, Kiawah Island, SC, USA. Program Objectives: As a result of this conference, participants will be able to: • Assess and provide patients with an accurate diagnosis and optimal care for a broad range of disorders seen in primary care. • Utilize current guidelines in the diagnosis and management of commonly encountered therapeutic issues. • Formulate comprehensive evidence-based interventions and treatment strategies that will lead to the reduction of modifiable risk factors and improved long term outcomes. Additional details will be posted as soon as they are available. The Charleston Course: 9th Annual Otolaryngology Literature Update is organized by Medical University of South Carolina (MUSC) Office of Continuing Medical Education and will be held from Jul 12 - 13, 2019 at Kiawah Island Golf Resort, Kiawah Island, South Carolina, United States of America. Additional details will be posted as soon as they are available. Focus on Women's Health Conference is organized by Southern Medical Association (SMA) and will be held from Jul 15 - 18, 2019 at Kiawah Island Golf Resort, Kiawah Island, South Carolina, United States of America. Credits: Southern Medical Association designates this live activity for a maximum of 22.5 AMA PRA Category 1 Credits™. Physicians should claim only the credit commensurate with the extent of their participation in this activity. American Board of Internal Medicine - Maintenance of Certification Knowledge Points Successful completion of this CME activity, which includes participation in the evaluation component, enables the participant to earn up to 22.5 MOC knowledge points in the American Board of Internal Medicine's (ABIM) Maintenance of Certification (MOC) program. Participants will earn MOC points equivalent to the amount of CME credits claimed for the activity. It is the CME activity provider’s responsibility to submit participant completion information to ACCME for the purpose of granting ABIM MOC credit. Description: SMA's Focus on Women's Health Conference is the go-to meeting for any healthcare professional seeking a quality CME opportunity. 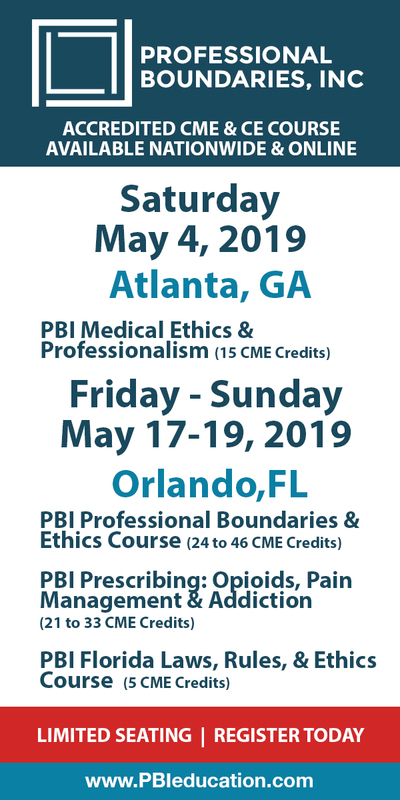 This four-day conference with an abbreviated daily schedule is perfect for primary care physicians, nurses, as well as those in speciality practice. Join us in beautiful Kiawah Island, South Carolina to gain updated knowledge on topics such as Issues in Pregnancy, Eating Disorders, Substance Use Disorders in Women, Alternate Therapy for Obesity, Diabetes, and Thyroid Disease, Contraception Controversies, Behavioral Change for the Office-based Physician, Physician Burnout, and more! Additional details will be posted as soon as they are available. Southern Medical Association (SMA) Women's Health Conference is organized by Southern Medical Association (SMA) and will be held from Jul 15 - 18, 2019 at Kiawah Island, South Carolina, United States of America. Additional details will be posted as soon as they are available. 2019 South Carolina Orthopaedic Association (SCOA)/South Carolina Association of Orthopaedic Executives (SCAOE) Annual Meeting is organized by South Carolina Orthopaedic Association (SCOA) and will be held from Aug 01 - 03, 2019 at The Sanctuary at Kiawah Island Golf Resort, Kiawah Island, South Carolina, United States of America. Additional details will be posted as soon as they are available. Radiology on Kiawah Island 2020 is organized by Duke Radiology and will be held from Jun 21 - 24, 2020 at Kiawah Island Golf Resort, Kiawah Island, South Carolina, United States of America. Additional details will be posted as soon as they are available.